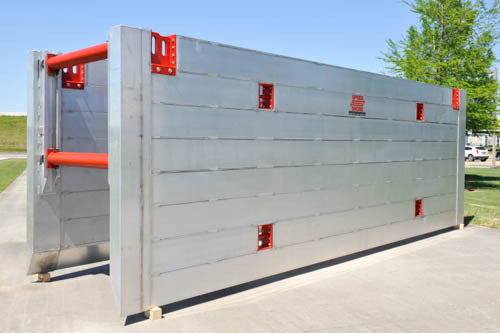 Shore Sales’s aluminium trench box provide the benefits of traditional aluminium shoring with the solid wall security of high strength extruded aluminium sections. Ideal for use in a range of maintenance and utility installation situations when using small excavators, our shoring shields provide safe and effective trench support and greater under-strut clearance than previously possible for three- and four-sided trenches. The lightweight and robust design provides optimal personnel protection, with rapid assembly and disassembly possible via quick connect pins and fittings. 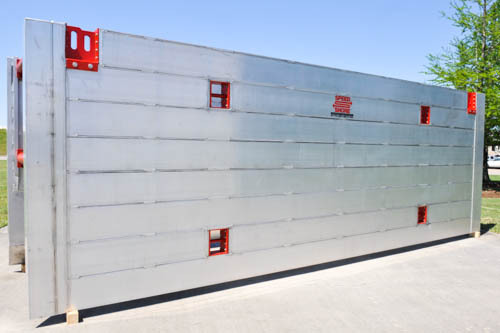 Aluminium vertical shores provide significant savings in installation given a rubber tyred back hoe can handle them in the majority of cases, providing advantages over heavier steel trench boxes. 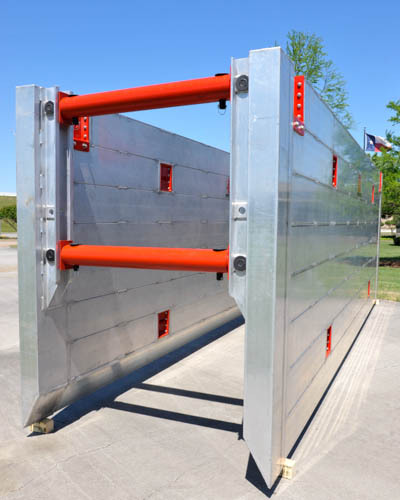 The smooth wall panels reduce friction for removal, while static speed struts allow for easy width adjustments and heavy duty lifting eyes assist in easy installation and removal.